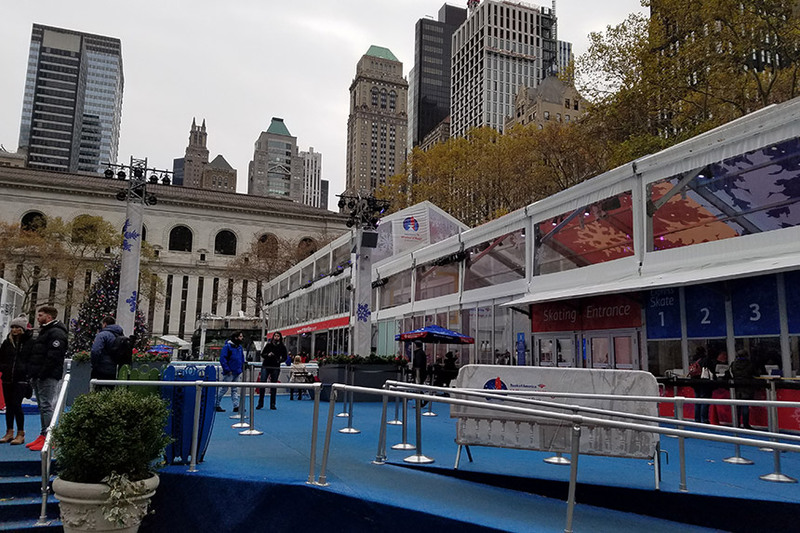 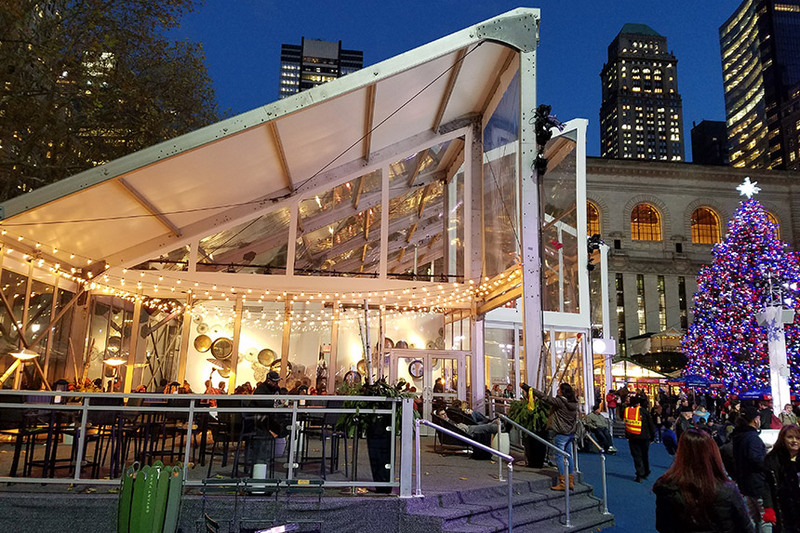 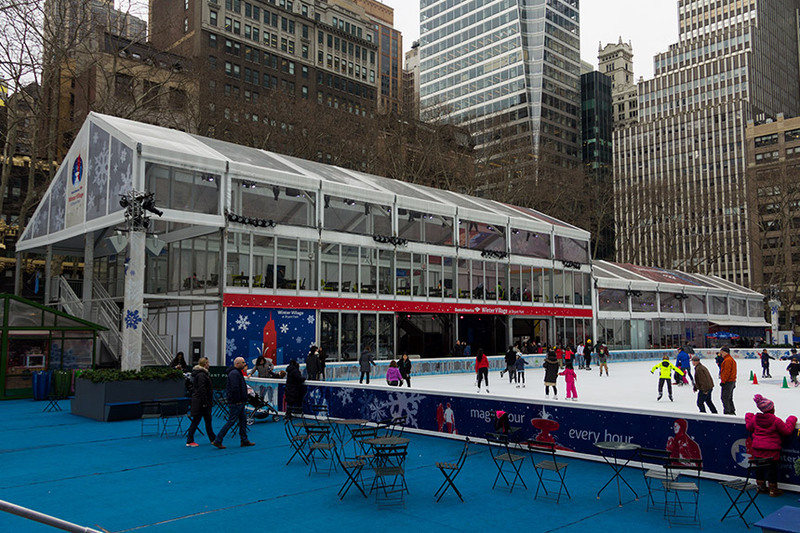 Bryant Park, the home of the Bank of America Winter Village, is a city park nestled in a canyon of skyscrapers, full of historical monuments and walking paths. 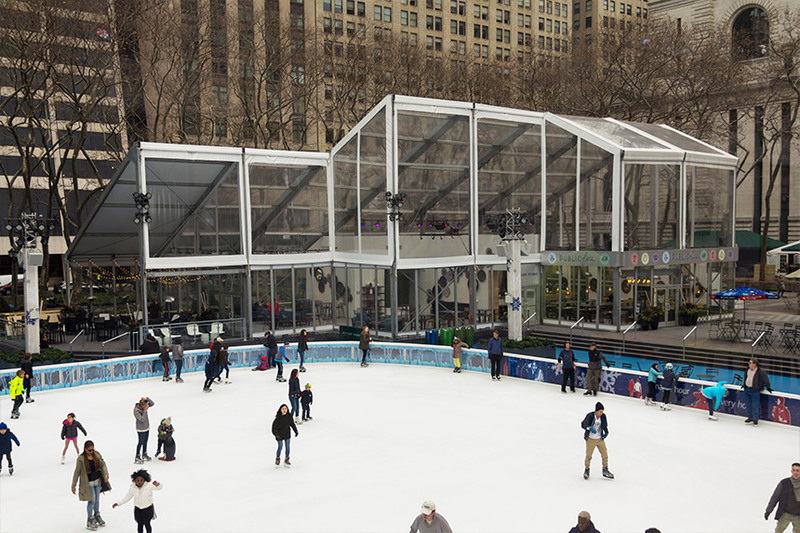 From November through February each year, the park is turned into a winter wonderland that offers something for everyone – like the Big Apple Pond Hockey Classic, Kid’s Food Festival, Special Olympics Skating Showcase, short plays, Kid’s Silent Disco, curling lessons, holiday movies, caroling, tree lighting, scavenger hunts, and ice skating. 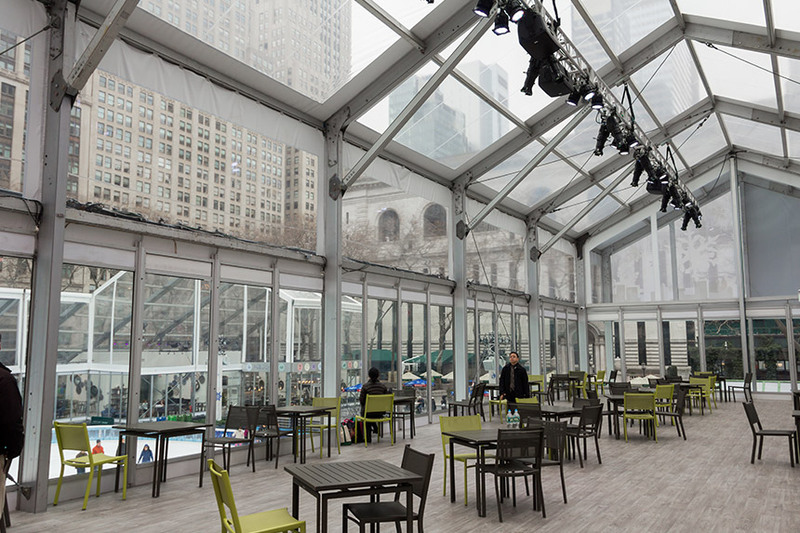 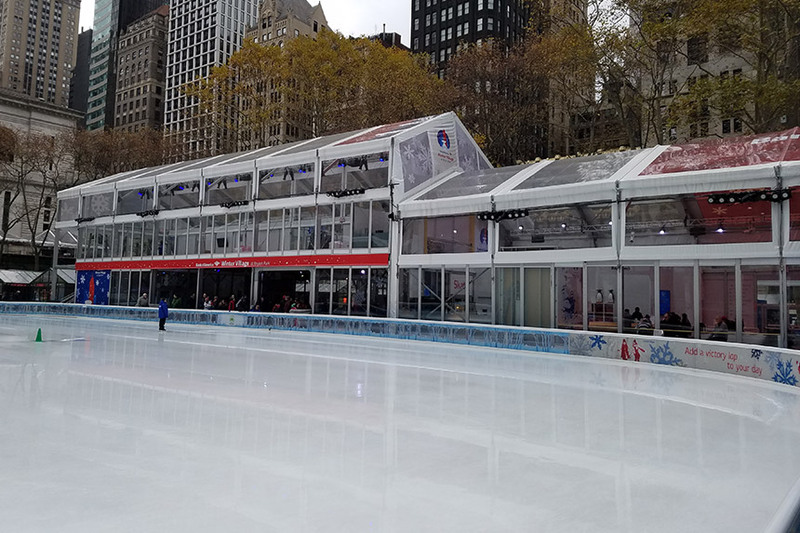 Arena Americas provides multiple custom structures for the Winter Village, including a double decker, offset ridge structure and single slope structure. 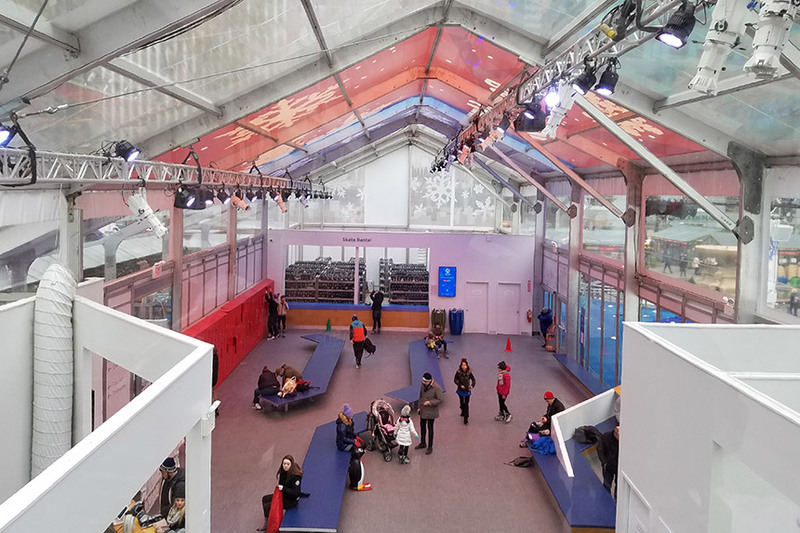 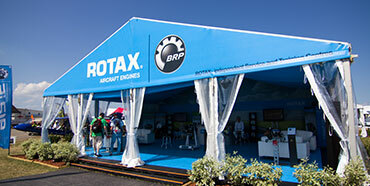 The spaces are used for restaurants, lounge seating, ticketing, skate pick-up, games, and events. 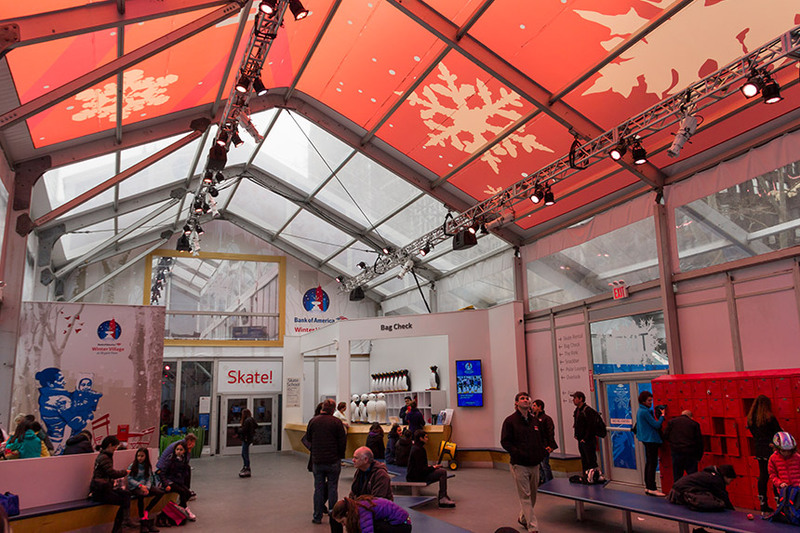 Custom graphics are integrated throughout the site to support Bank of America, the Winter Village sponsor. 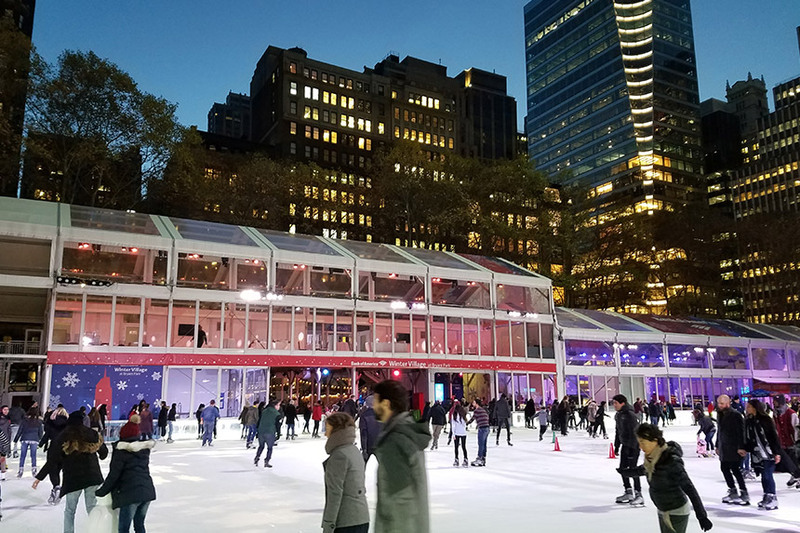 Thousands of guests enjoy ice skating, strolling through the winter shops, and dining in Bryant Park each year!